Real estate agent Mitchell Wilson was fined $2000 and ordered to pay $800 in costs last year after the Real Estate Agents Authority (REAA) found he failed to tell a buyer the basement flat of a property, advertised as a “home and income”, didn’t have required building consent. The buyer had already signed a conditional sale and purchase agreement when the agent was told by the council the flat wasn’t consented. The authority’s complaints committee found he should have immediately passed on the information. But he failed to do so, presuming the buyer would make their own inquiries. Cases of newly minted home owners aggrieved the agent has misled them, or failed to disclose vital information, average close to one a week, according to REAA data. But the tally may be higher than official figures suggest. Research commissioned by the authority last year found fewer than half (46 percent) of 250 buyers and potential buyers interviewed felt the real estate agent had told them everything they needed to know about a property. Failure to disclose information about the property’s condition was the main complaint. The research also found just 10 percent of buyers strongly agreed the agent provided full responses to questions, compared with 39 percent of sellers interviewed. Buyers were also less likely (75 percent) than sellers (88 percent) to feel they could trust their agent. Real estate transactions have traditionally been viewed as a classic situation of buyer beware. 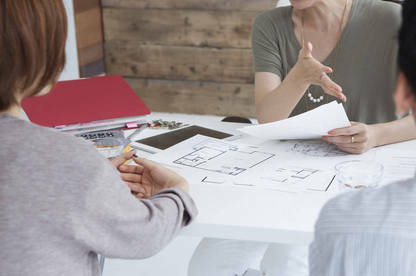 Prospective purchasers are routinely warned about the need to do their own due diligence before making an offer on a home, including getting a builder’s report and a LIM (land information memorandum) from the council. But real estate agents can no longer avoid all responsibility. REAA chief executive Kevin Lampen-Smith says the concept of buyer beware has been eroded by consumer legislation. The Real Estate Agents Act and supporting code of conduct prohibit agents from misleading consumers or withholding information, he says. The Real Estate Agents Act and supporting code of conduct prohibit agents from misleading consumers or withholding information. Decisions of the Real Estate Agents Disciplinary Tribunal have also highlighted agents’ obligations to be open and honest with the purchaser. They can’t turn a blind eye to problems. Suggesting a purchaser get a building report won’t avoid their responsibility for non-disclosure either. Agents have to disclose what they’re reasonably expected to know about a property, says Mr Lampen-Smith. 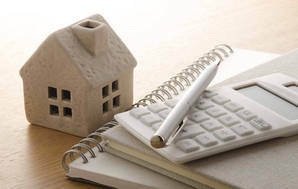 If they suspect there may be underlying problems — for example, the property is a leaky home — they’re required to get confirmation from the seller, supported by expert evidence, the house isn’t subject to the defect or inform purchasers of any “significant potential risk” so they can get their own advice. In a case before the REAA last year, Cambridge agent Bruce Beer was found to have misled buyers about a property’s cladding, some of which was an inferior product to what the buyer was told. The complaints committee faulted Mr Beer for relying on the vendor’s information about the cladding without seeking supporting evidence. Agents should also be expected to know about developments on neighbouring properties and in the area that could impact purchasing decisions. In another REAA case, Timaru agent Mark McLeod was fined $1000 for failing to tell the buyers the vendors had granted consent for the neighbours to extend their garage. While the principle of buyer beware has been tempered by legislation, there are still limits to what a buyer can expect. Real estate agents aren’t required to undertake any investigations of their own to find hidden or underlying defects. If they’ve relied on information supplied by the vendor and have no reasonable grounds to believe the information was incorrect, it’s unlikely they’ll be found wanting. Mr Lampen-Smith says you can ask an agent anything you want to know about a property — and should expect a full and frank response — but don’t rely on this alone. Seeking your own independent advice is always going to be the best way of making sure you know what you’re buying, he says. At a minimum, a real estate agent should have asked the owner for details of any problems with the property and provide this information to prospective purchasers. Does the property need any urgent repairs? Are there outstanding consents for renovations or other work? For older properties, has the house been re-piled, re-roofed, re-wired, re-plumbed and re-lined? Is there insulation in the roof, underfloor and walls? Are there any issues with the title? Are there any developments planned on neighbouring properties or in the area? Is there a LIM available? What did the agent price the property at? What have nearby properties sold for? Agents should provide answers to these questions as a matter of course. If you believe the agent has misled you or withheld information, make a complaint to the Real Estate Agents Authority. You can also use the authority’s website to search for previous complaints about agents. Buying a house can be a daunting process. Whether it’s your first home or your fifth, we’ve got what you need to know about making one of the biggest purchases in your life.